Tag Archive | "printing clientele"
Retirement in Ecuador… or retirement anywhere is changing. 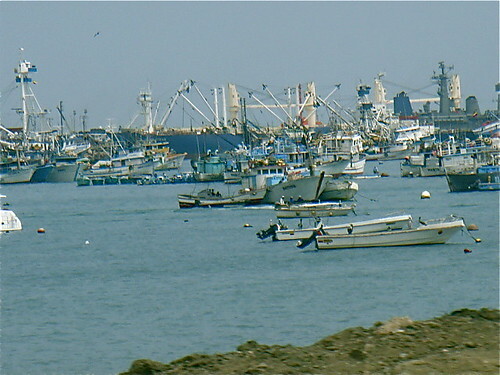 Manta is Ecuador’s largest ocean port. See about shipping and retirement in Ecuador plus a trick to help you retire in Ecuador or anywhere below. Those who embrace faster change can make their golden years glitter even more. Those who use old thought in a new world may suffer. There is a trick to gaining from change which I’ll explain in a moment. First, an excerpt from the July 30 USA Today article “Older white males hurt more by this recession” by Dennis Cauchon, shows one example about change affecting retirement. This change is causing more people to retire in Ecuador but affects everyone… even those who are not ready to retire. Dean Canaris, 56, a quality engineer for a Honda automotive supplier, was laid off in April and out the door in 30 minutes with no severance. Harry Jackson, 55, an airline pilot and supervisor, lost his job in 2007 and, to his surprise, has found it nearly impossible to get another job. Mark Montgomery, 53, was let go from an Owens Corning insulation factory in April and can’t afford his $575 monthly mortgage payment. These men from the Columbus, Ohio, area are the unusual new faces of joblessness in this groundbreaking recession: older men cut loose from employment at the peak of their earning power and work experience. In previous recessions, veteran workers were largely spared the pain of widespread job cutbacks, according to Bureau of Labor Statistics data. Layoffs tended to be concentrated among younger workers: The younger you were, the more likely you were to get fired. Traditional, bread-winning older males — especially white men — were the least vulnerable. Not so today. Aging Baby Boomers are suffering a harsh employment bust. Jobless rates for men and women older than 55 are at their highest level since the Great Depression, government data show. White men over 55 had a record 6.5% unemployment rate in the second quarter, far above the previous post-Depression high of 5.4% in 1983. Those above 55 also are spending more time than ever between jobs. Older workers spend an average 27 weeks between jobs, about five weeks longer than younger workers. “When you lose your job after many years, you’re not only looking for a job. You find the nature of employment has changed,” says Deborah Russell, director of workforce issues at AARP, the lobbying group representing people 50 and older. The loss of a job for an older worker can erase the dominant income of a middle-class family, wipe out savings as retirement nears and deny aging people health insurance when it’s needed most. “So many of these men were coasting to retirement, working at good jobs and earning good pay. “Then, suddenly, it was gone,” says Susan Birie, who runs the government’s Delaware Area Career Center in Delaware, Ohio. Areas of employment that used to be considered safe are gone or going… never to return. Our recent International Business & Investing Seminar (IBEZ) in North Carolina explained why this is so. The industrialization of mankind has moved through five eras each with a new form of power. Era #3: Internal Combustion Engine – Car – Production Line – Petroleum. Era #4: Jet Engine – Phone – TV – Plastics – Chemicals- Fertilizers. Era #5: PC – Internet –WWWeb. In the first stage of each era… markets and the economy boom. New jobs are created. Later in the era, the markets crash… the economy slows and the new wave in the new era wipes out good jobs from the era past. The railroad wiped out many safe shipping jobs. The auto industry wiped out many railroad jobs. Jet travel eliminated many opportunities originally created by cars. The internet wipes out many jobs in travel. These changes bring enormous opportunity for those who adapt. One must invest differently and globally. This is why half of our IBEZ seminars are about global and why we have a strategic alliance with Jyske Bank to offer a multi currency course. This is why we also focus half of our IBEZ seminar on how to have a global internet business. Our goal is to help delegates use the trick so they’ll gain from change. The trick is what we call JDI… a phrase you have all heard…. Just Do It. We give our delegates at the course enough basics so they can start a part time internet business. Then we followed up to get the delegates to get started. The first week after the course, our delegates received this note from our webmaster, David Cross. Welcome home. I hope you had a safe trip back from our North Carolina seminar. It was a pleasure to meet you and share your ideas. We’re going to help you give it wings if you desire using the internet in business. You’ve now got an idea – or an idea of your idea. If you want to bounce your idea of me, please do so. Here’s what to do today – yes, right now! Step 1: Register your domain name. (You can ignore all the additional offers GoDaddy will flood you with. Just grab your domain). This trick in time of such rapid change is to get started with something small. Then learn and evolve. Our delegates have fun with this as well. Here is one reply David received. Way ahead of you, David !!! LOL But will enjoy receiving your updates …. My sites have been obtained and are our 2 new ventures. I’ll be focusing on one site first with the import/export of cigars. I already have a name for our newsletter so I can work on getting recognition and good Search Engine hits. I will hopefully be adding other products, such as wine, coffee, chocolate and other “vices” in the near future. Gary, I’m hoping to focus on these additional products coming from Ecuador so any leads would be great. Hi Gary, I’ve been reading Henry Ford’s “My Life and Work,” and this short segment mirrors exactly what you have been saying for years! This might come in handy for one of your daily postings. Cheers! The automobile business was not on what I would call an honest basis, to say nothing of being, from a manufacturing standpoint, on a scientific basis, but it was no worse than business in general. That was the period, it may be remembered, in which many corporations were being floated and financed. The bankers, who before then had confined themselves to the railroads, got into industry. My idea was then and still is that if a man did his work well, the price he would get for that work, the profits and all financial matters, would care for themselves and that a business ought to start small and build itself up and out of its earnings. If there are no earnings then that is a signal to the owner that he is wasting his time and does not belong in that business. I have never found it necessary to change those ideas, but I discovered that this simple formula of doing good work and getting paid for it was supposed to be slow for modern business. The plan at that time most in favor was to start off with the largest possible capitalization and then sell all the stock and all the bonds that could be sold. Whatever money happened to be left over after all the stock and bond-selling expenses and promoters, charges and all that, went grudgingly into the foundation of the business. A good business was not one that did good work and earned a fair profit. A good business was one that would give the opportunity for the floating of a large amount of stocks and bonds at high prices. It was the stocks and bonds, not the work, that mattered. I could not see how a new business or an old business could be expected to be able to charge into its product a great big bond interest and then sell the product at a fair price. I have never been able to see that. I have never been able to understand on what theory the original investment of money can be charged against a business. Those men in business who call themselves financiers say that money is “worth” 6 per cent, or 5 per cent, or some other per cent, and that if a business has one hundred thousand dollars invested in it, the man who made the investment is entitled to charge an interest payment on the money, because, if instead of putting that money into the business he had put it into a savings bank or into certain securities, he could have a certain fixed return. Therefore they say that a proper charge against the operating expenses of a business is the interest on this money. This idea is at the root of many business failures and most service failures. Money is not worth a particular amount. As money it is not worth anything, for it will do nothing of itself. The only use of money is to buy tools to work with or the product of tools. Therefore money is worth what it will help you to produce or buy and no more. If a man thinks that his money will earn 5 per cent, or 6 per cent, he ought to place it where he can get that return, but money placed in a business is not a charge on the business–or, rather, should not be. It ceases to be money and becomes, or should become, an engine of production, and it is therefore worth what it produces–and not a fixed sum according to some scale that has no bearing upon the particular business in which the money has been placed. Any return should come after it has produced, not before. This reminded me that the best investment… especially in this era where smaller is better… is in our own small business. We are our greatest asset… but we will earn nothing if we do not act. Here is what another delegate from our July North Carolina seminar shared. Gary and Merri… We truly enjoyed your seminar !!! Thanks so much for allowing us to come. My brain is still spinning from all of the information and I hope that someday, we will be in the red enough to invest our wealth at Jyske Bank as well. Words cannot express how impressed we both were with the entire presentation. And thank you for sharing your farm with us and the wonderful lunch !!! This may or may not be your “cup of tea”, but I would love to learn more about how to think BIG, which could maybe be a topic of one of your newsletters. I would value the information and expertise coming from you because you have been so successful. On the way home from your seminar, I thought a lot about how I need to change my thought patterns. I was a single mother of 2 for many years and during those years, I was in survival mode … how to make enough money to raise my kids well and still have enough time to be close to them. I stumbled into timeshare at the end of the 90’s and was able to fix up my home and become credit card free. But after 5 years and moving up to Director of one of the resorts in Orlando, I left the rat-race of that industry and got back into general Real Estate and built up my print broker business. During the housing boom, I sold my house and moved to the mountains of NC and continued servicing my printing accounts. That’s when my husband and I opened up his Cigar Shop and my New Age Shop. The Florida housing market crashed and so did my Florida printing clientele. Within the last 2 years, our savings went and up went our debts, like so many of us. Now we’re starting from scratch again !!! The point: I have always done just enough to “get by” …. I have a difficult time visualizing a bigger picture … a bigger income … bigger wealth … bigger savings … bigger vacations … bigger anything !!! We are very hard-working but don’t seem to get ahead …. bigger !!! So now we have the answer from one of the biggest thinkers of all Henry Ford. Become an engine of production and then grow. Little wonder that ford is the last viable US car maker. 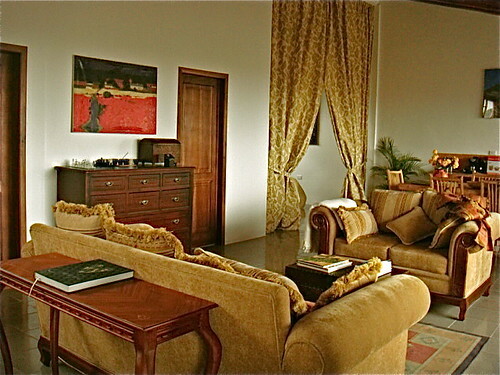 One way to adapt to change is to move to a place where costs are lower… but living and facilities are good… like Ecuador. Learn more about our emailed course on how to have an internet business. 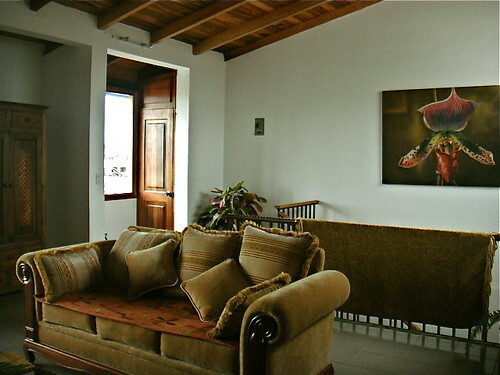 We get requests from many planning to retire in Ecuador for information about Ecuador shipping. Merri and I have never shipped to Ecuador and almost all our readers have found it far less expensive to buy most goods in Ecuador than to ship. For example Ecuador shipping may not make sense for tables. 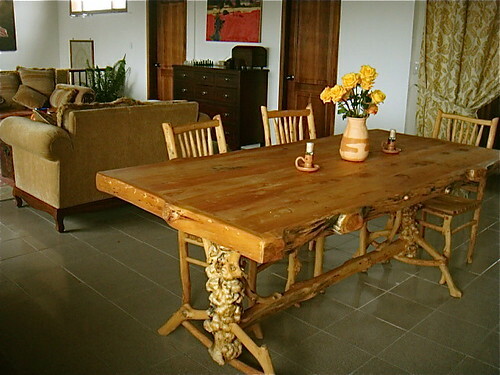 This hand made dining room set built for us from solid (old) coffee wood ran $420…with 6 chairs. You cannot beat that with shipping! I have only had one couple tell me they shipped their goods to Ecuador. They experienced a lot of problems. The problem was not in Ecuador shipping or Ecuador. They shipped an entire container and stated they had the DEA in New York tear their stuff apart… break items and leave a big mess. This is beyond the control of the Ecuador shipper. 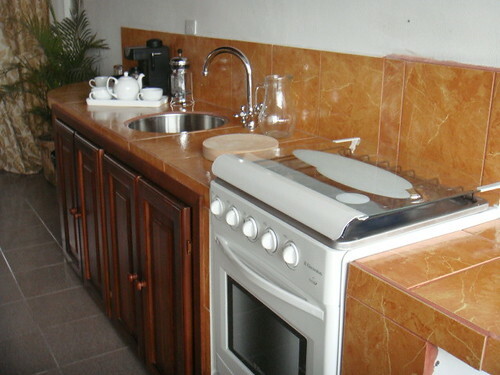 Appliances are a bit more in Ecuador than in the US… but not enough to warrant Ecuador shipping. A gas stove like this runs between $250 and $380. Even if we had more Ecuador shipping stories, it would be difficult to give Ecuador shipping recommendations unless we had many shipping referrals because your shipping begins where you are… so much of what you need will be local. A couch set like this can be hand built or purchased “as is” for about $750 for two. Read more about Ecuador shipping here. So whether you adapt to change in a small or big way… at home in Ecuador or elsewhere abroad… get started. Take baby steps as you think big.